It is safe to assume that most of the participants encountered at least one of the above-mentioned types of graft during the recent years. So, where are then all the successes stories of business resisting corruption? There is very limited information about cases successfully investigated by Ukrainian authorities based on reports from business. 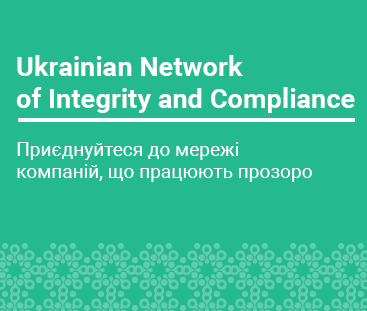 There are some hints on NABU web page, but they do not provide any clarity of what was involvement and the role of the business (if any), and how cooperation with NABU helped the business to get rid, for example, of burden of extortion or of rigged competition. There is nothing alike on General’s Prosecutors Office’s and National Police’s pages. Illustrative is the fact that the NABU’s webpage with the online form to file a report about a crime contains notice that “deliberately false” report is criminal offence, while it has nothing at all about how the one assisting to reveal a scheme could be protected by the agency and the government. The opposite good example is Business Ombudsman Council, which showcases the success stories in its regular reports. And seemingly the number of claimants only growth due to the good results and effectiveness of support from the BOC. Surveys capture some key obstacles and concerns, which preclude citizens and businesses from active disclosure of facts of corruption. Such concerns in large are related to lack of confidence in effective punishment of wrongdoers. Those surveyed answers that they believe that “it is in vain” (34.6% in UNITER’s survey) to report or that they “don’t believe that the agency would do anything with complaint” (44% in EU Advisory Mission survey). Majority of companies surveyed by ACC believe that the key thing to be done to encourage businesses to report graft is “ensuring proper investigation and punishment”. So it is safe to argue, that availability of practical examples involving peers, where reporting of facts of corruption proved to be effective, could be very helpful to overcome stated concerns. We do acknowledge the importance of keeping low profile for investigations in high risk cases, but the surveys and observations strongly suggest that is important to publicly showcase successful examples of business reporting extortion and other types of corruption to encourage those, who are still on the fence. To promote the reporting of corruption and encourage industry discussion, we plan to amend ACC Corruption Perception Survey with the new relevant questions (luckily the survey is managed by one of the editors of this blog – Igor Svitlyk). Igor encourages anyone interested in contributing to ACC survey to reach out. We want to ask businesses to anonymously share synopsis of their success stories as the follow up to regular question of the survey about “successful cooperation with law enforcement agency on alerted corruption case”. On the other end, we want to ask law enforcement agencies (NABU, GPO, Police) to share their anonymized statistics on how many reports on corruption they received from business and to ask for successful examples. I want to wrap up with the latest success story coming, though, from the public sector. You have probably guessed this already. A week ago, Nazar Kholodnytskyy, Head of Specialized Anti-Corruption Prosecutor’s Office was offered USD 300k bribe by judges being subjects of corruption investigation. Nazar, according to his post on Ukrayinska Pravda, immediately reported this to the competent law enforcement authority. Now both judges are under arrest. The importance of this story, I believe, is that it shows at minimum that agencies are able to hit the ground running and react rapidly in the bribe givers & takers case. Now, just imagine how profound the effect would be if CEO of a leading Ukrainian company would share such story of countering corruption. If we see such stories on a regular basis, I believe it would make public official think twice before extorting a bribe from the business, cutting thereby the demand side of corruption. And what is your opinion on this subject? Do you think promoting success stories of businesses resisting corruption would be an effective measure? Please share your thoughts in comments section below or on our Facebook page. Orest Stasyuk is a former Trace International Scholar at LL.M. program of University of Washington School of Law (USA). Orest currently works as an attorney at criminal law practice of leading CIS law firm with a focus on white collar crimes, anti-bribery compliance, and conducting anti-corruption investigations in CIS.